Features and Benefits Description: Rich color and distinctive form! 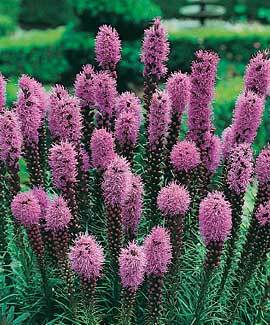 Towering feathery spikes open rich purple from the top down. Plants are drought tolerant, spectacular in perennial beds and borders, and a wonderful addition to arrangements. Grows 3' tall. Blooms in June and July.